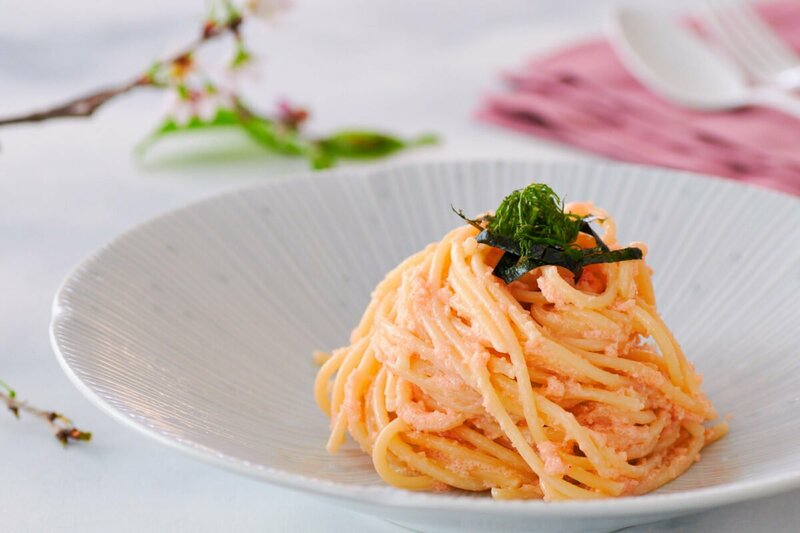 Mentaiko Pasta (明太子パスタ) is a delicious Japanese-style cod roe pasta that comes together in a matter of minutes from just a handful of ingredients. With a rich, creamy sauce that's loaded with umami, it's no wonder this new classic has become a household staple in Japan. Some of my favorite traditional Italian pastas like Cacio e Pepe, Penne all’Arrabbiata, or even Bucatini all’Amatriciana come together in just minutes from a handful of ingredients. The common thread is the use of a few flavorful ingredients to make a quick, satisfying meal that’s chock full of flavor. 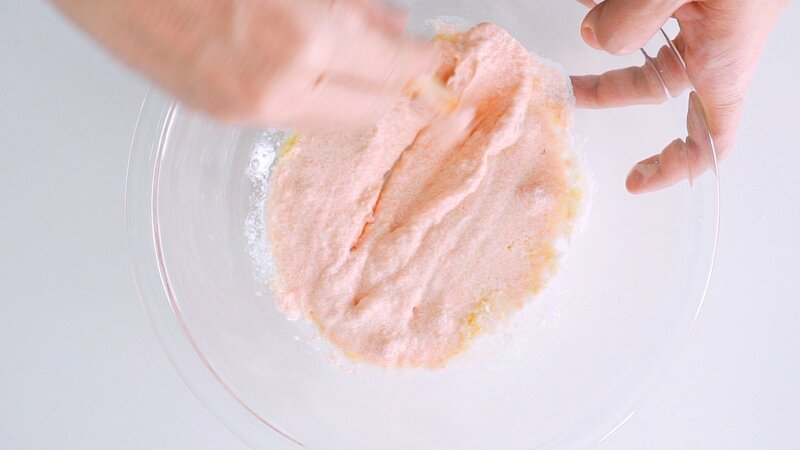 Applying the same methodology and techniques using ingredients from other parts of the world can result in new and surprising combinations that are just as simple and delicious. 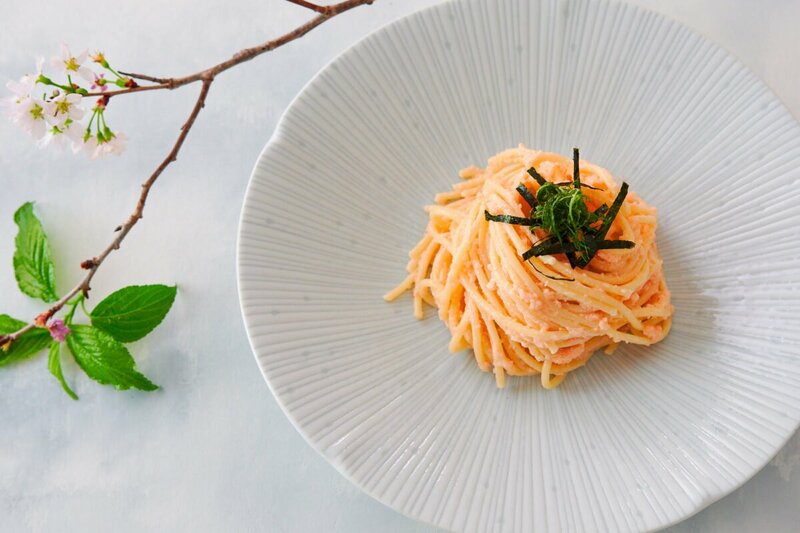 Wafu pasta (和風パスタ) which literally means “Japanese-style pasta” is a whole genre of pasta that has either been adapted or reinvented melding Japanese ingredients with Italian techniques. Japan (as well as much of Asia) has a long history of eating noodles, but it wasn’t until 1945 after the end of World War II, that America introduced spaghetti to Japan in large quantities. Given the food shortage at the time, and the interest in American culture, American-style spaghetti and meat sauce was quick to catch on, and it was soon a staple at western-style cafes around Japan. In the mid 1960s a small pasta shop in Shibuya called Kabé No Ana (literally “hole in the wall”) is credited with the invention of Mentaiko Pasta. As the story goes, an orchestra musician on tour in Europe brought back some caviar as a souvenir. Not knowing what to do with it, he brought it to the restaurant, asking them to prepare it for him. The pasta the chef made was so delicious, he wanted to add it to the menu. The problem was that caviar wasn’t readily available in Japan at the time. Looking for a substitute, the chef turned to the cured roes available in Japan, Mentaiko fit the bill. Mentaiko (明太子) literally means “child of mentai,” and the word “mentai” is derived from the Korean myeongtae (명태) which is the Korean name for Alaska pollock, a type of cod. The confusing part here is that Alaska Pollock is not a member of the Pollachius (Pollock) genus, but rather Gadus (cod), so although it’s sometimes labeled as “Pollack roe,” mentaiko is actually Cod roe. The roe is prepared by brining the whole roe sacks, and then seasoning it with powdered chilies. Prepared without the chilies, the brined roe is called Tarako (鱈子). While Mentaiko usually refers to the spicy variety, there are regions of Japan where both the mild version is called mentaiko, and the spicy one is called Karashi Mentaiko (辛子明太子). If in doubt, just look at the color. If it’s bright red with visible chili flakes on the surface, it’s probably the spicy kind, while a lighter pink or coral color is most likely the milder tarako. The traditional pasta is spaghetti, but I think that has more to do with the fact that it was one of the only shapes of pasta around when the dish was created rather than being the best shape suited for the sauce. I love making Mentaiko Pasta with other shapes that are good at holding onto the rich, savory sauce. Buccatini and Rotini are both great options, and I’ve even made this with Macaroni. Mentaiko is loaded with umami as well as salt, so the pasta gets most of its flavor from its namesake ingredient, but I like to take it up a notch by adding a bit of grated Parmigiano Reggiano. This really cranks up the umami, without making the sauce too salty. If you have some, adding just a bit of yuzu kosho adds a wonderful citrusy zing while taking the heat up a level. Like any pasta, it’s important to include some kind of fat in the sauce to help keep the noodles from sticking together. If I’m making this without cream, I’ll sometimes use a combination of butter and olive oil, but because I’ve added cream to this version, I use olive oil as the main source of fat. To get the Mentaiko to coat the noodles evenly, it’s important to have some kind of liquid. 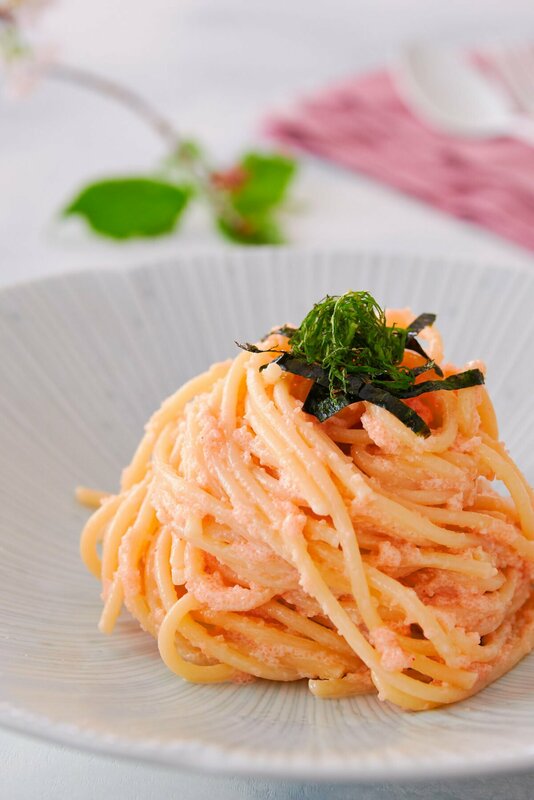 The traditional preparation of Mentaiko Pasta calls for cream as the liquid, which is why I’ve used it here, but you can make a lighter-style by using the boiling liquid from the pasta instead. For the garnish, I like topping my Mentaiko Pasta with some thinly sliced nori and green shiso. The nori complements the briny flavor of the Mentaiko while the shiso adds a fresh herbal pop that accents the rich sauce. 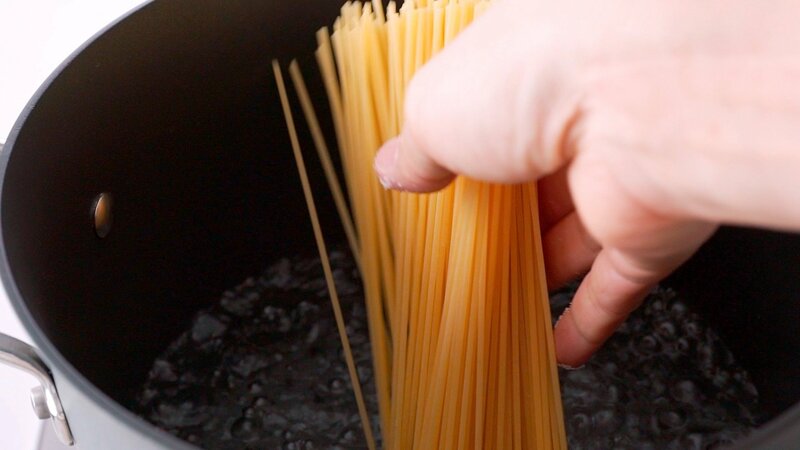 Like most pasta’s the process is super simple. I like to start by boiling the pasta in well-salted water, and then I prepare the sauce while the pasta is going. For the sauce, it’s just a matter of whisking all the ingredients together. There’s not a lot of precision needed here, and you can adjust the amount of liquid, oil, and cheese to suit your tastes. Since the pasta does not get cooked together with the sauce, it’s important to cook it through to your desired level of doneness. Once you’ve drained the pasta, it’s just a matter of tossing it together with the sauce before plating and garnishing it. Boil the pasta according to the package directions in well-salted water (about 1 tablespoon salt per 5 cups of water). 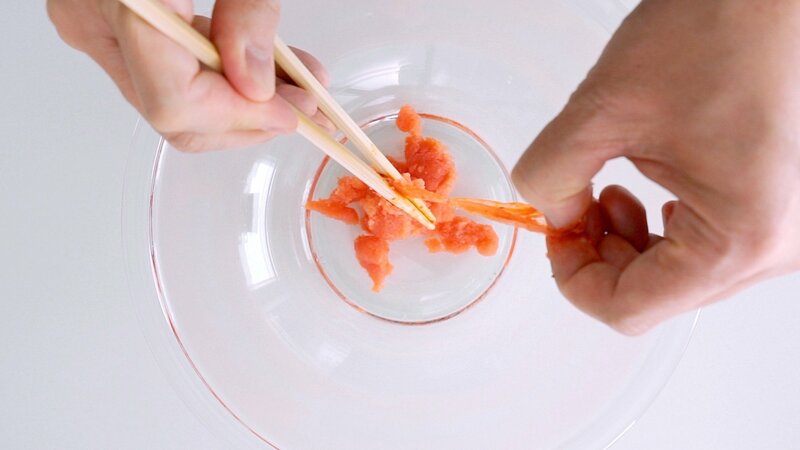 Whole mentaiko comes in the roe sacks which have a tough outer membrane. Pierce one end of it and then squeeze the roe out of membrane into the bowl, like you're squeezing toothpaste out of the tube. Add the olive oil, half and half, and Parmigiano Reggiano and then whisk to combine. 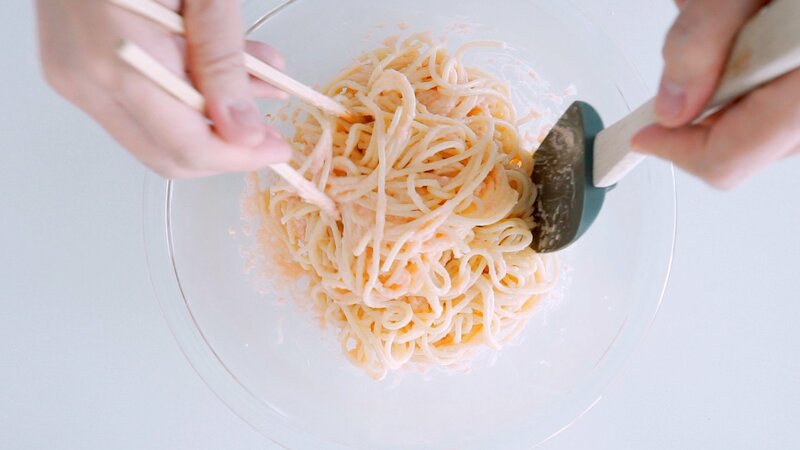 When the pasta is done, drain it and then add it immediately to the bowl with the Mentaiko sauce. Toss to coat the pasta evenly. 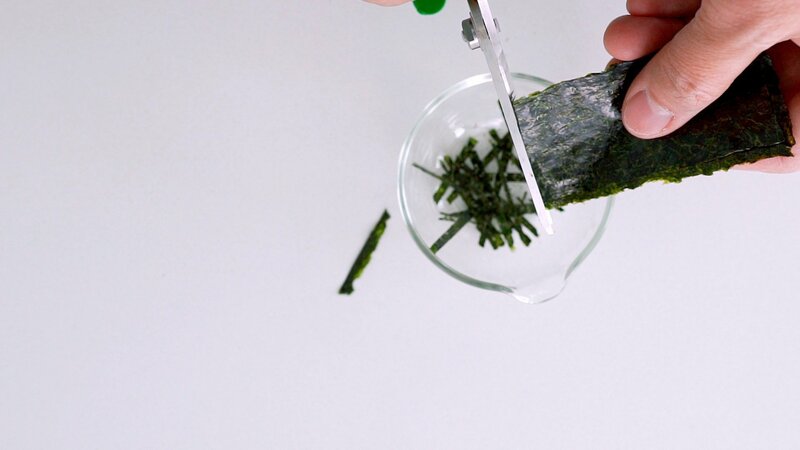 You can plate it using tongs and a small bowl or ladle and then garnish it with the nori and shiso. Thanks for posting this recipe! We will try it soon,.